I can't get through this. It makes me feel like HRC is a sociopath since she speaks of fairness, freedom and equality while she was complicit in the DNC putting her forth as the candidate over the more-preferred candidate Bernie Saunders. Instead, she wants to talk about how Trump and the Russians ruined America's democracy. In a true memoir without delusion, she's start by looking at herself. Truth is scarely in the equation. 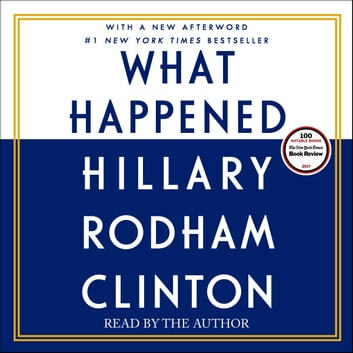 HRC blames everyone and everything to avoid the real truth. Faced with two universally unpopular candidates, people voted for Trump because he wasnt more of the same. Yeesh...some bitter reviewers there! 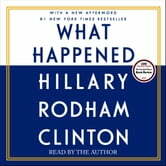 If you don’t like Clinton, no need to listen to 16 hours of her reading! I thought she was funny, poignant, and candid. The whole book is super engaging, entertaining, and eye-opening. Have a renewed respect for President Hillary Rodham-Clinton.